Christian joined SUU in September of 2010. He oversees institutional research and assessment of student learning. 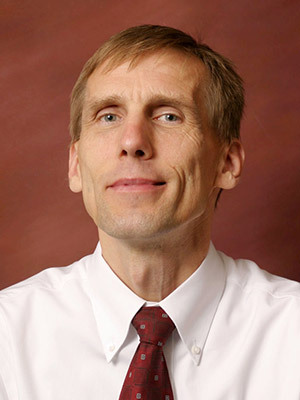 Prior to joining SUU, Christian was Director of Assessment at Purdue University. He holds a doctorate degree in Learning Design and Technology from Purdue University and two degrees, a Master of Science in Instructional Psychology and Technology and a Bachelor of Arts in German with a minor in Family Science, from Brigham Young University. His special interests are in understanding and facilitating student learning and in providing meaningful and relevant data and using data in meaningful and relevant ways to facilitate evidence-based decision-making. 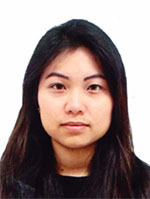 Lulu joined the Office of Institutional Research & Assessment in April of 2012 as Data Analyst. She takes care of meeting internal and external reporting requirements and data requests. Prior to joining SUU, Lulu worked as Data Analyst for Dixie State University. 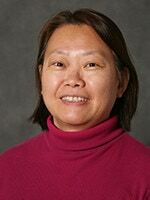 She holds an MBA degree from Idaho State University, a Master of Education from Idaho State University, and a Bachelor of Arts in Foreign Languages and Western Literature from Tunghai University in Taiwan. Her special interests are in SQL language, data retrieval, and statistics. Hill joined the Office of Institutional Research & Assessment in October 2017. She provides research and analysis related to student persistence and other topics in support of student success and institutional mission fulfillment. Hill holds a Master’s Degree in Marketing Analysis from DePaul University and a Bachelor’s of Science Degree in Statistics with a minor in System Analysis from Chulalongkorn University in Thailand. Her special interests are in statistics, machine learning, and data-informed decision-making.